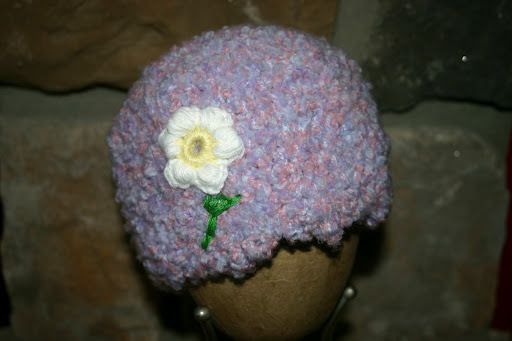 As promised, here is the picture of the Brimley Hat I recently made. 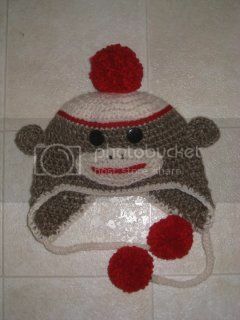 Thank you to Mamachee for the pattern. 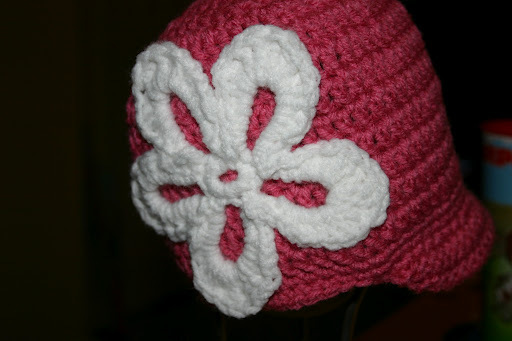 This hat worked up rather quickly and the pattern was easy and fun. Although it is too big for my head, it fits my husband perfectly! This entry was posted in Uncategorized on November 24, 2010 by littlebirddesignsfxbg. Tunisian Crochet. What can I say about you? Fun, different, and very interesting! 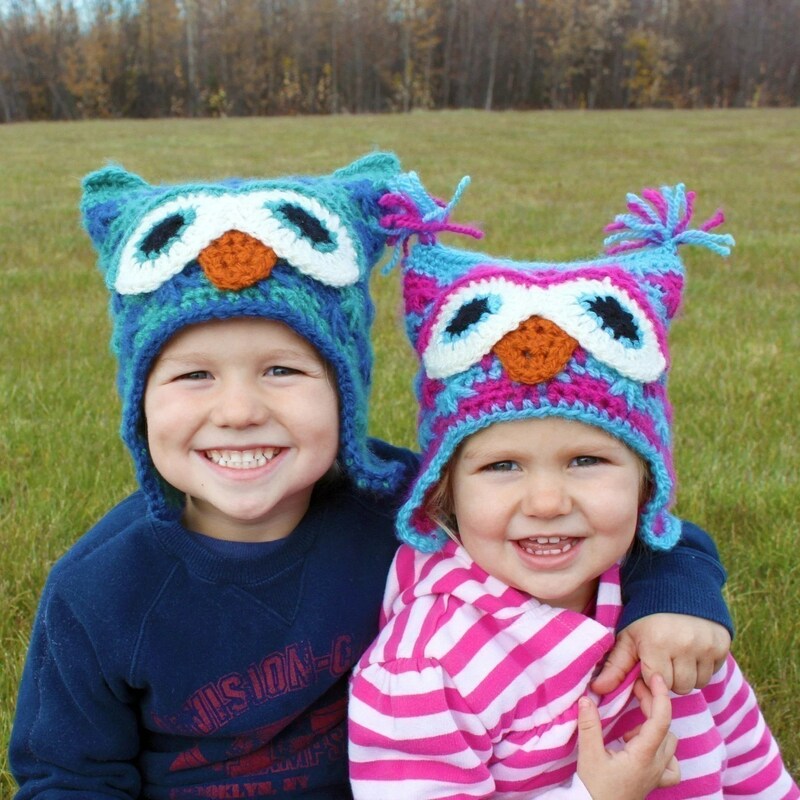 I stumbled upon Tunisian Crochet via an email from Lion Brand Yarn. They send me patterns and ideas for new projects every few days and this one pattern really caught my eye. I quickly realized the pattern I was looking at was something new! Something new?! Alright! I started researching right away. I will be making a bag for myself after some practice. Considered a mix of knitting and crochet, Tunisian crochet leaves loops on the hook and takes two passes to complete one row. Despite taking two rows to complete one, it does work up rather quickly, and probably best of all…it doesn’t seem hard at all. 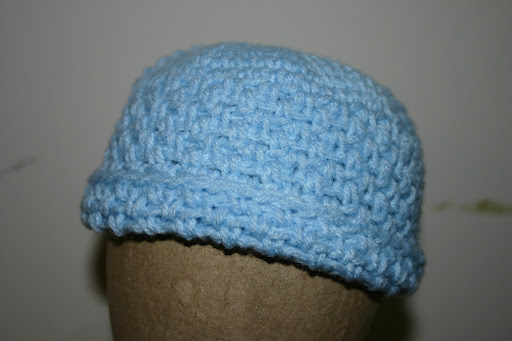 I played around with the simple stitch and a regular crochet hook before purchasing a real Tunisian hook. Using Ravelry.com, I found a simple pattern for a hot pad and started working. If you have never seen a Tunisian simple stitch I will give a brief description. You chain stitches like you normally would in regular crochet. This is where it changes. Instead of working in the top of the chain, you work in the spine of the chain. Now, working in the spine, you yarn over(YO) and pull up a loop, but instead of YO again to form a single crochet you insert your hook into the next chain spine and YO to pull up another loop. This is repeated across the chain, leaving all the loops on the hook. Once you have reached the end of the chain you do not turn. You YO and pull the loop through one loop on the hook. Then you YO again and pull that loop through two loops, the loop that you just pulled up and the loop from the previous row; repeat across. Now you are ready to begin the next row. Do not turn, with one loop on your hook, insert your hook into the next vertical loop in the row below. YO and pull up a loop, leaving 2 loops on your hook. Insert your hook into the next vertical loop, YO and pull up another loop, leaving three loops on your hook. Repeat for all the vertical hoops in your work. Then repeat “Once you have reached the end of the work you do not turn. You YO and pull the loop through one loop on the hook. Then you YO again and pull that loop through two loops, the loop that you just pulled up and the loop from the previous row; repeat across.” Pretty easy huh? 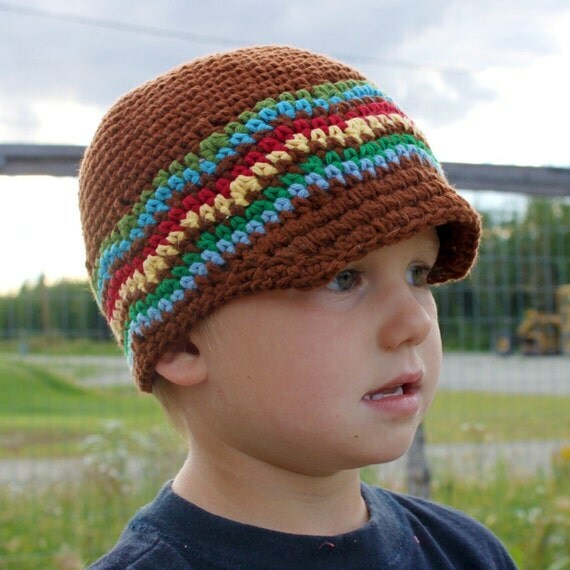 There are a ton of videos on YouTube and plenty of designs on Ravelry.com and other websites. Try it, you’ll like it 🙂 If you do try, leave me a comment, or ask for help. I am brand new too, but we can stumble through Tunisian Crochet together. This entry was posted in hook, knitting, Lion Brand, needle, Ravelry.com, stitch, Tunisian, yarn on November 19, 2010 by littlebirddesignsfxbg. I have been in a sort of lull with LBD business. Although, my MIL is ordering things here and there, it certainly isn’t enough to pay a bill, let alone all the bills; not that I expected it to. So, during this lull I have decided to make the most of the free time. I have been scouring the internet, trying to find those patterns that fit what I feel is my style. I found a few :). I discovered Ravelry.com recently and quickly became addicted to it. Looking through all the patterns, and seeing others achievements is inspiring! I am humbled by the other peoples creativity and skill! I only wish I was as good as half the crafters there. There is also a blog I am following now, http://easymakesmehappy.blogspot.com/. She does amazing work! And her stuff is cute, and right up my alley. 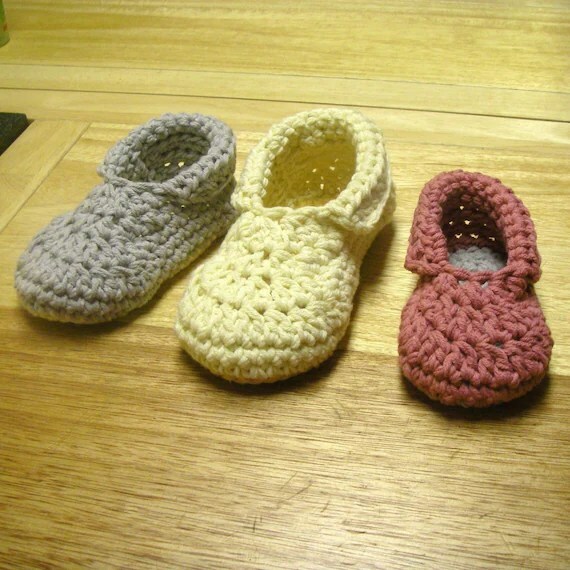 I purchased a few of her patterns: The Brimley Hat, Killian’s Owl Hat, Toddler/Child Slippers, Oma House Slippers, and Buccaneer Booties. They are sweet! 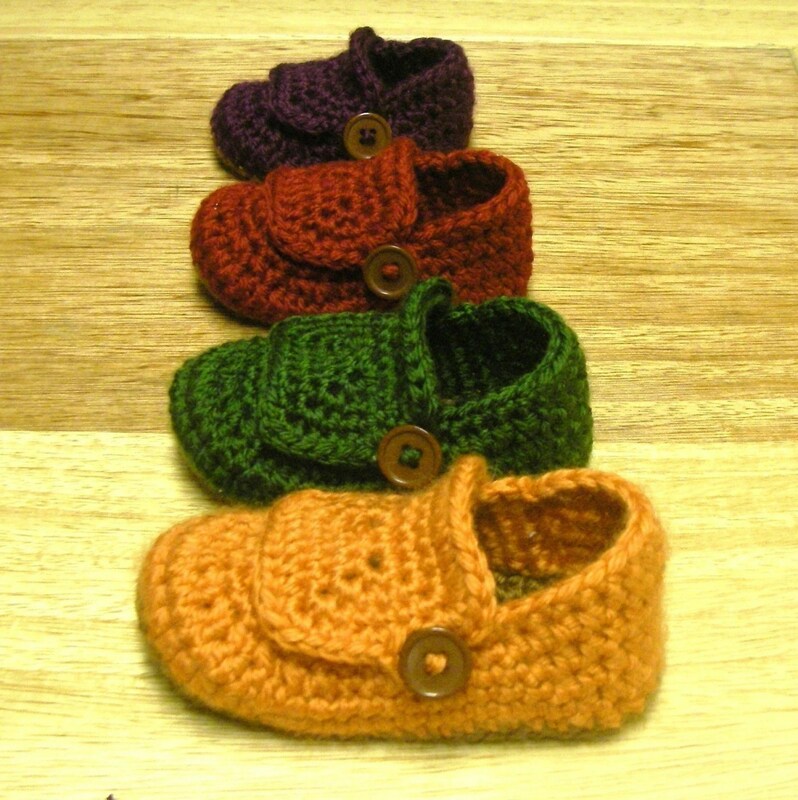 I can’t wait for someone to want/order/need something so I can make them! 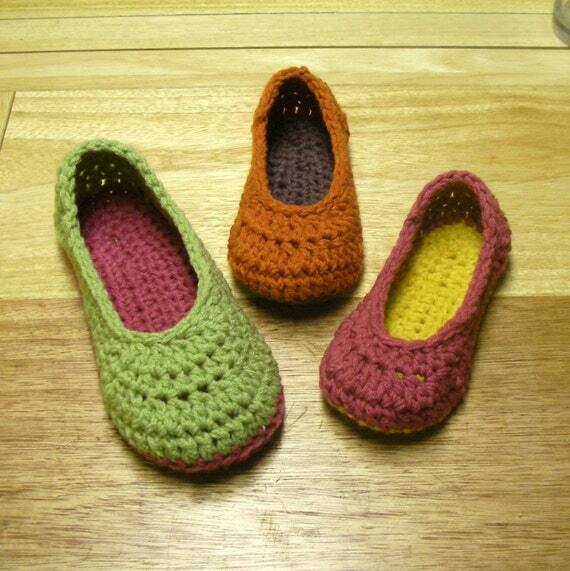 The cute little Buccaneer Booties can be made into Mary Jane Style Slippers for little girls too! I am currently working on a Brimley Hat for myself and will post pics once it is done. This entry was posted in free time, hats, inventory, lull, Ravelry.com, slippers on November 14, 2010 by littlebirddesignsfxbg. 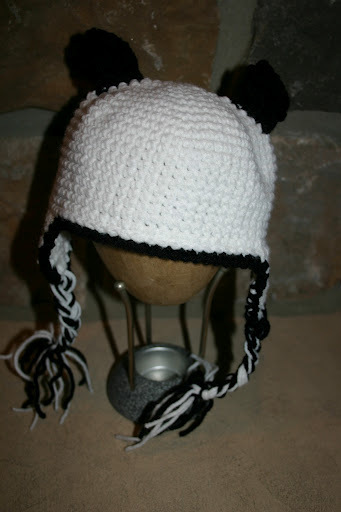 I was commissioned by my MIL to make a hat and mitten set for a newborn boy coming in February. I was searching for cute little hats and mittens for boys but all the ones I found were either too girly or very blah and ugly. So I decided to write my own patterns for these. First I did the hat. 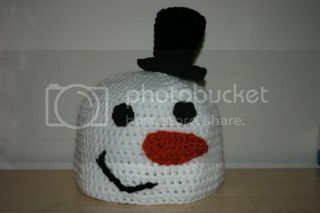 I used single crochets in rounds to do the crown of the hat, then added a seed stitch for pattern around the sides. The mittens I also used single crochets in rounds to make the ends of the gloves and decreased so they would form hollow balls, more or less. 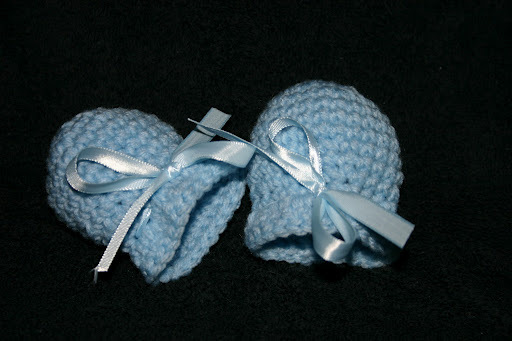 Then I added a row of double crochets at the end to make a cuff and weaved in a blue satin ribbon for a tie to keep them on little baby hands. Very fun and fulfilling, writing your own patterns. Hopefully I will be continuing to do so in the future! This entry was posted in Uncategorized on November 8, 2010 by littlebirddesignsfxbg. This entry was posted in flower, fuzzy, hats, Mahlia, panda, pink, purple, Ramesh, Stephanie, white on November 5, 2010 by littlebirddesignsfxbg.